And the name Sci Fi -- which also applies to an entire genre of film, books and other forms of media -- wasn't something the network could trademark. So it appears this is about the money - licensing of SyFy branded media, items etc. I guess I don't care that much about the name change as long as they continue the scifi shows. 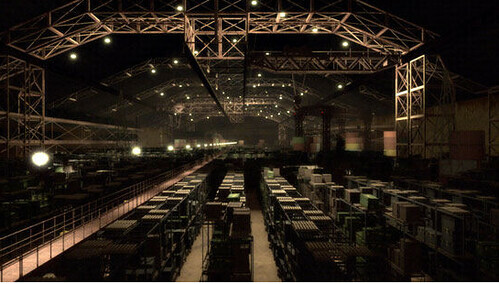 Speaking of SciFi shows, the SyFy networks premiered the new Warehouse 13 this week which looks promising. I haven't watched it yet, but plan to at least check it out. Early reviews have been mostly good so I'm hoping it will be worth watching. It seems to be a little Eureka with a little X-Files. I'm liking the idea of lots of mythical and mystical gadgets that lead to promising new stories. Check it out as it airs a LOT on SyFy this week.